PhD students Rui Sun and Zhonghui Zhang have had their papers accepted at the 2019 Asian Meeting of the Econometric Society (2019 AMES). Zhonghui Zhang will be presenting his paper “Mahalanobis Metric Based Clustering for Fixed Effects Model”. Rui Sun’s paper “Bias-Corrected Estimators in the Dynamic Panel Data Model” has been accepted for poster session. The conference, June 14-16, 2019 at Xiamen University, is held by the Econometric Society, the international society for the advancement of economic theory in its relation to statistics and mathematics. 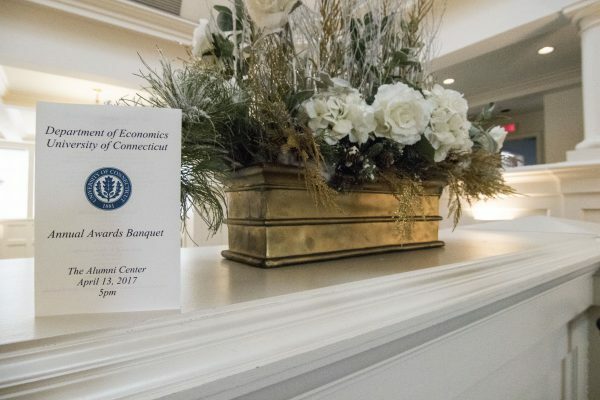 Graduate students Shiyi Chen, Edlira Cocoli, Treena Goswami, Xin Liang, and Patralekha Ukil presented papers at the Annual Conference of the Eastern Economics Association in New York, Feb. 28–Mar. 3. Paper titles are listed below. If you see them in the hallways, be sure to ask them about their research. 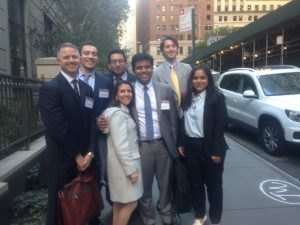 Treena Goswami: High Skilled Immigrant Inflows and More Managerial Natives? Have a look at a tweet about Patralekha’s presentation here, and you can see the full EEA program here. 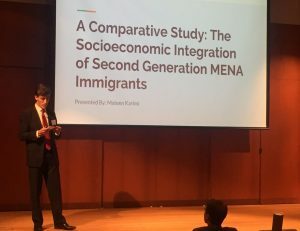 Sophomore, Mateen Karimi, presented his Holster Research Project, “A Comparative Study: The Socioeconomic Integration of Second Generation MENA Immigrants” to an interested group of students, family members, and UConn faculty and staff this past Friday at the Konover Auditorium. The Holster Scholars First Year Project supports a small number of students interested in conducting independent research during the summer after their freshman year at UConn. Students are first selected to take a one-credit course to develop their research proposals. Of those in the course, a select few students are awarded funding to complete their projects over the summer. Mateen’s project, supervised by Professor Furtado, examines the socioeconomic status of second-generation Middle Eastern North African (MENA) immigrants in the United States. He found that while the native-born children of MENA immigrants have more years of schooling and higher incomes than white natives whose parents were both born in the U.S., MENA unemployment rates are substantially higher. Mateen’s results also suggest that despite the very high average education levels of first-generation MENA immigrants, second-generation MENA immigrants complete even more years of schooling than their foreign born parents. Graduate students working on immigration issues with Professor Delia Furtado have been traveling quite a bit in the past few months. Samantha Minieri was in Chicago presenting her paper, “Norms and Parental Leave: Do Home Country Policies Affect Immigrants,” at the Annual Meeting of the Population Association of America (PAA). Tao Song has presented his job market paper, “Honey, Robots Shrunk My Wage! Native-Immigrant Wage Gaps and Skill Biased Technological Change,” at the Centre for European Economic Research (ZEW)’s Workshop on Spatial Dimensions of the Labour Market in Mannheim, Germany; the Society of Labor Economists’ annual meeting in Raleigh, NC; and the Western Economics Association International (WEAI) Annual meeting in San Diego, CA. Project Title: Presidential Interruptions and Interim Presidents: How Do Latin American Countries Re-Equilibrate Both Politically and Macroeconomically After a Presidential Interruption? 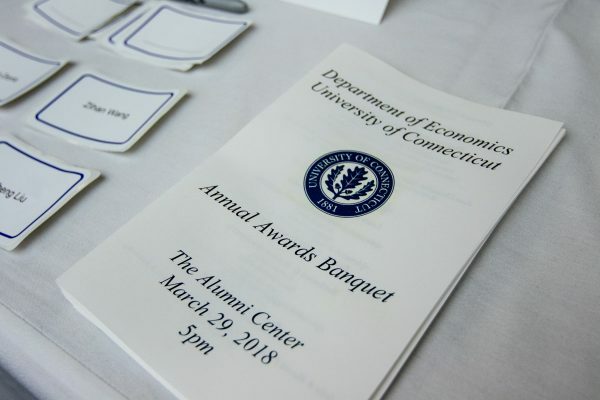 “The University Scholar Program is one of the most prestigious programs for undergraduates at the University of Connecticut. Available to students from all of the University’s schools and colleges, the University Scholar Program allows students to design and pursue an in-depth research or creative project and to craft an individualized plan of study that supports their intellectual interests during their final three semesters. 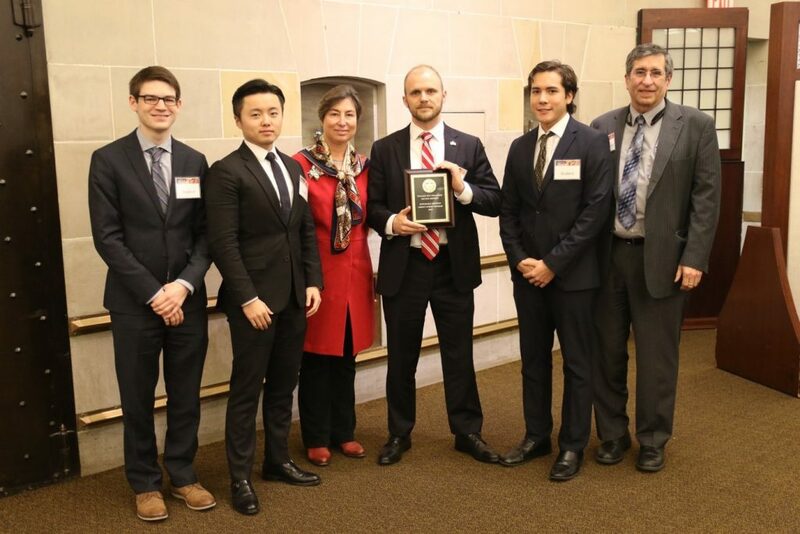 Each student is mentored by an advisory committee of three faculty.